Roots Shoots Leaves Ltd provides professional horticultural services to property management businesses, large estates and gated communities. The importance of building a strong relationship with our clients is paramount and the starting point of any new contract. Combining beneficial horticulture with the landscape/green space desires of our clients is the ultimate goal. If you would like to know more about our horticultural services, please don't hesitate to get in touch today! Grounds maintenance and gardening are similar but often the level of expertise with grounds maintenance operatives can be lacking. Educating our staff in gardening skills and horticulture is important for our business and offers a higher level of standard for our customers. 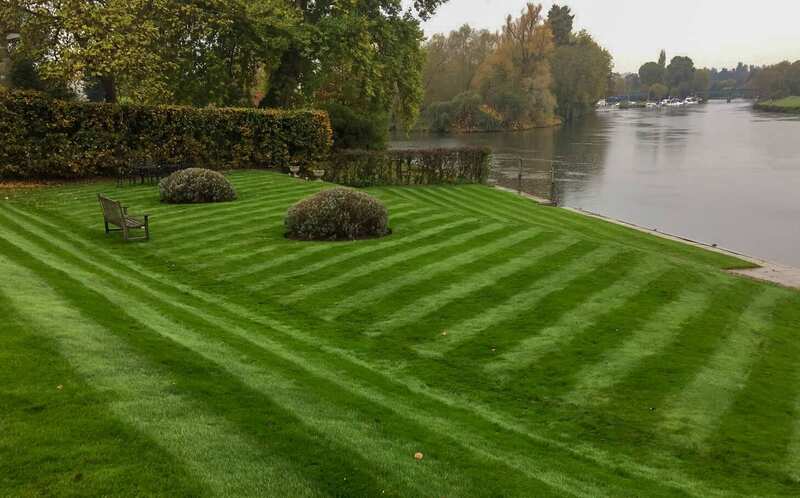 Our grounds maintenance service provides a complete, reliable, pro-active approach to horticulture and landscape management. and to ensure that the people who live or work there, who see the landscape every day, are satisfied with the results. A garden is always evolving as the plants grow and it is our job to maximise your horticultural investment. To be polite, trustworthy and knowledgeable, in addition to having the initiative and experience to act alone or in a team, are essential qualities for all our staff. Uniforms and full training by senior staff members to our exacting standards, is the standard we instil, to enable any staff member to deal with any issues on site, as they appear. There is a management structure in place to support each team member and hard work and loyalty is rewarded with promotion. and growth patterns, so we can always make the most of the existing environment. Having the vision to spot the reason a particular plant has been positioned where it has or how it would be better used elsewhere, is an essential quality our staff are taught. All our employees are permanent members of our team, rather than sub contracted or temporary staff, and we employ a strict health and safety policy, with risk assessments and method statements, relevant training certificates and public/employers liability insurance provided. with seasonal Work Reports provided to the client documenting the previous few months of hard work. with assistance from one or two gardeners/apprentices and all the equipment they require to carry out the improvements needed. There will also be regular garden inspection checks by the RSL Operations Director to ensure the quality of the gardens continue to improve. Each visit will be recorded electronically with progress reports provided to the client. All our equipment is new and maintained regularly, with a complete equipment breakdown service in place to remove down-times and failed gardening visits.